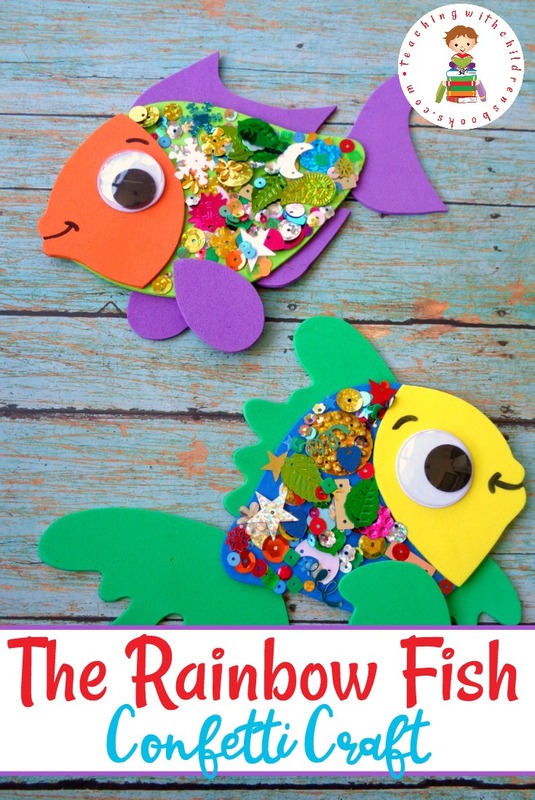 These Rainbow Fish crafts for kids work on fine motor skills, creativity, hand-eye coordination, and much more! 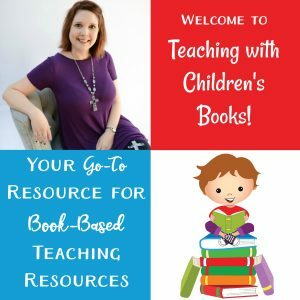 Perfect for preschool through grade 2. 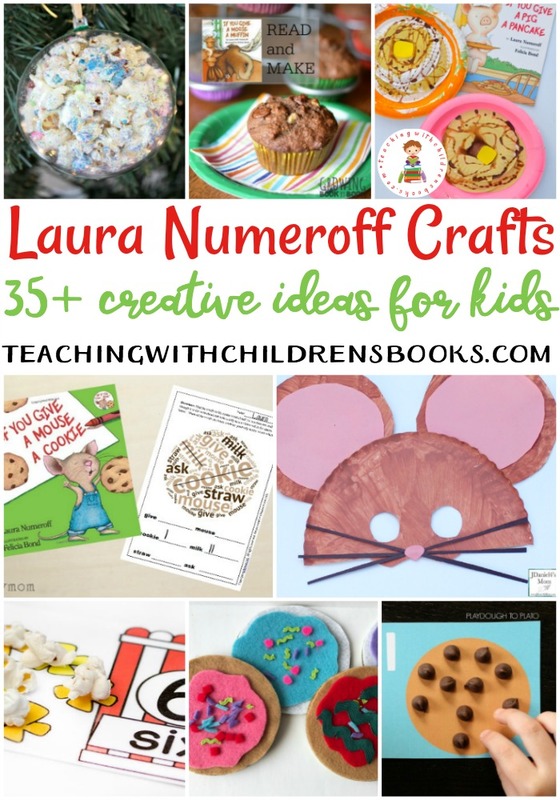 There are many craft ideas featured below. 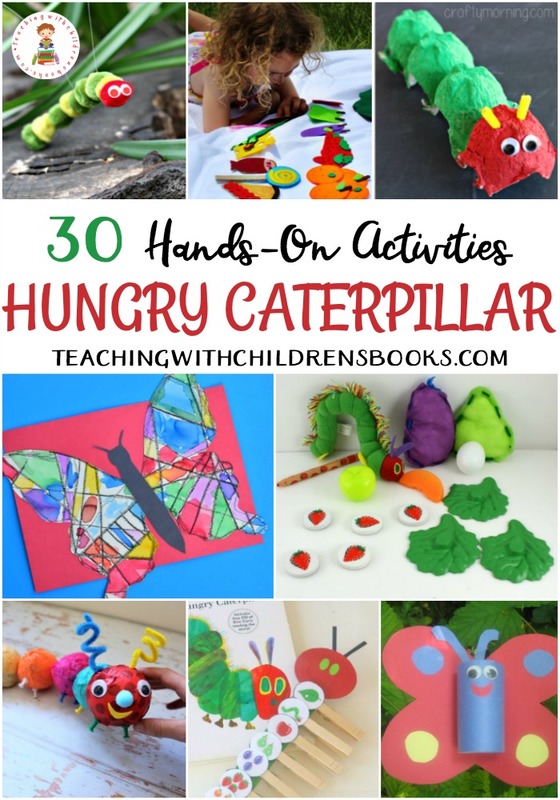 From playdough and perler beads to tissue paper and aluminum foil, there is something for everyone included in this list. Rainbow Fish Ornament | With a fish-shaped pegboard and a bucket of perler beads, your kids can make a Rainbow Fish ornament to put on display. Rainbow Fish Alphabet Matching Craft | Combine early literacy, fine motor skills, and art with this craft! 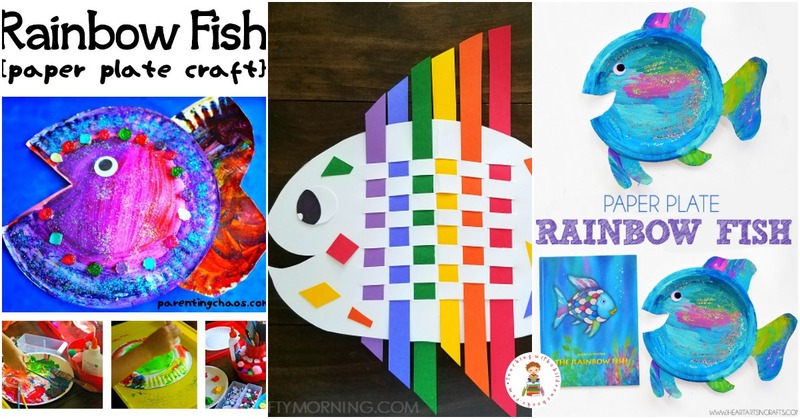 Easy Rainbow Fish Paper Plate Craft | This craft is perfect for even your youngest readers. Tissue Paper Rainbow Fish | Decorate this FREE printable template with tissue paper squares to create a one-of-a-kind Rainbow Fish craft. 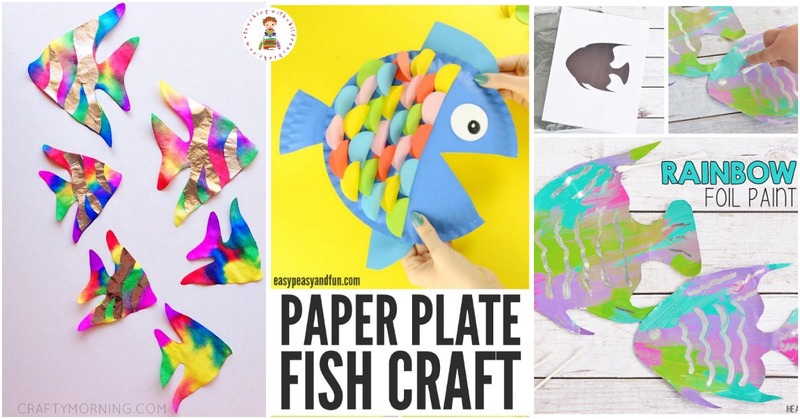 Paper Plate Fish Craft Inspired by The Rainbow Fish | Kids will use a combination of different craft supplies to create this fun paper plate fish. Celery Stamping Rainbow Fish Craft | Use celery sticks and paints to create this rainbow fish! Weaving Rainbow Fish Kids Craft | Weaving is a great fine-motor and hand-eye coordination task. 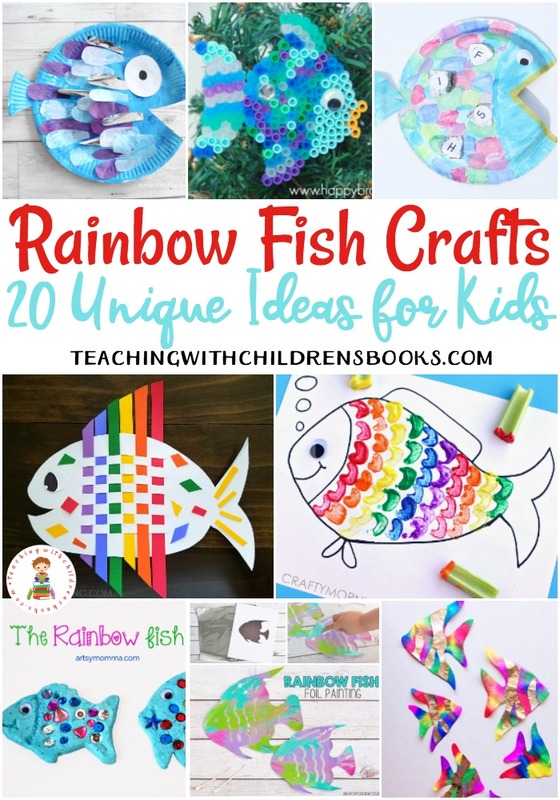 Use it to create a fun rainbow fish for kids. Rainbow Paper Circles Paper Plate Fish Craft | I love the paper circles that are folded to look like real fish scales on this paper plate craft. Rainbow Fish Paper Plate Craft | Here’s another spin on a paper plate Rainbow Fish craft your kids will love. Paper Plate Rainbow Fish Craft | I’m loving the variety of paper plate Rainbow Fish crafts. This one is just as cute as the rest I’ve featured here. Coffee Filter Rainbow Fish Kids Craft | This is a unique spin on a Rainbow Fish craft. I’ve not seen another one like it! Salt Dough Ornaments | Kids will love putting these salt dough ornaments on display! They’ll look great hanging on the Christmas tree or with a magnet on the fridge. Fine Motor Rainbow Fish Foil Painting Activity | Process art is great for little ones, because there’s no right or wrong. This painting activity allows preschoolers to work on fine motor skills and color mixing as they create a beautiful piece of art. Make Your Own Rainbow Fish | With a fish shaped ice cube tray, some glitter, and a little Plaster of Paris, your kids can make their own glittery rainbow fish. Tissue Paper Rainbow Fish | This colorful fish is easy enough for toddlers to make! Rainbow Fish Suncatcher Craft | These will look so cute hanging in the window! Crepe Paper Collage – Rainbow Fish Craft | Don’t throw away the crepe paper scraps after your next birthday party! Use them to create a fun fish craft. Rainbow Fish Scratch Art | Here’s a great low-mess Rainbow Fish craft that will help kids practice writing their names. Scribble Art Rainbow Fish | You’ve got to check out this unique art project! Older kids will love this one! Rainbow Fish Torn Paper Craft | Torn-paper crafts were my favorite activities to do with my daycare kids. They could work on fine motor skills with little to no mess. This one is easy for young kids to do. 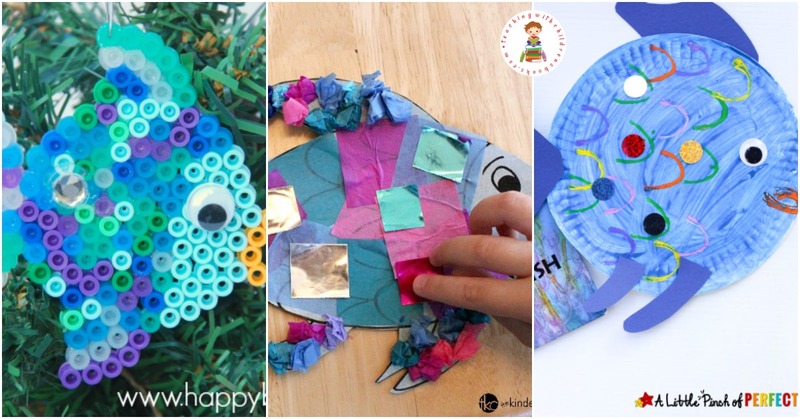 Which of these Rainbow Fish crafts for kids will you try first with your students?